ESO Supernova Exhibition — Which countries belong to ESO? Which countries belong to ESO? In 1962, ESO started out with five Member States. Now there are 15, and several more countries are interested in becoming members as well. There's always room for more, so watch this space! ESO at 50: Representatives of ESO’s Member States celebrated the organisation’s 50th anniversary in 2012. 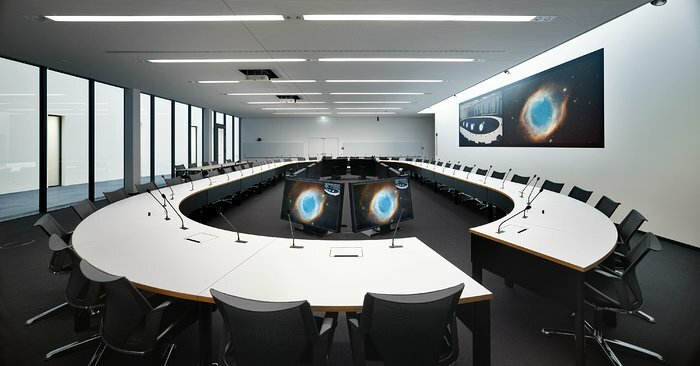 Control hub: The council room is where Member State representatives gather at least twice per year to discuss ESO’s future. ESO was founded by Belgium, Germany, France, the Netherlands and Sweden. Since 1962, many other countries have joined: Denmark (1967), Switzerland and Italy (1982), Portugal (2001), the United Kingdom (2002), Finland, Spain and the Czech Republic (2007), Austria (2009) and Poland (2015). 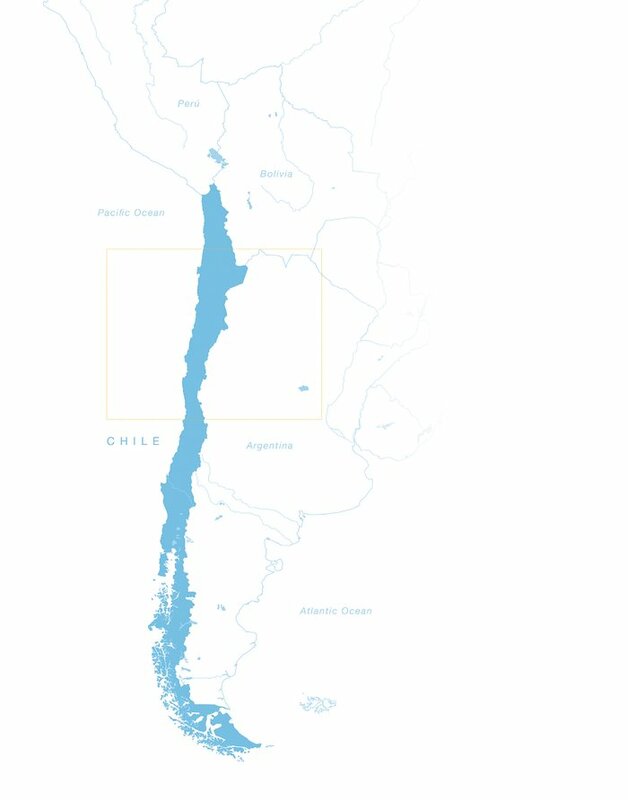 As the host nation, Chile is of course also part of ESO – Chilean astronomers have preferential access to all ESO telescopes. Since 2017 Australia is also a partner. 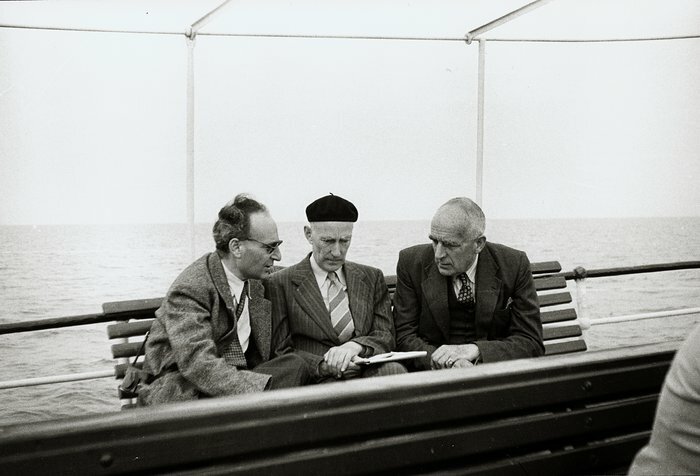 Making waves: Astronomers Vladimir Kourganoff (left), Jan Oort (centre) and Harold Spencer Jones (right) first discussed the idea of European cooperation in astronomy while on a boat trip in June 1953. Chilean choice: Soon after ESO was founded, Chile became the country of choice for the location of the first observatory. Fifteen countries are part of ESO. Germany was one of the first Member States, together with Belgium, France, the Netherlands and Sweden. Do you recognise some Flags on the screen? Have you been to any of these countries?